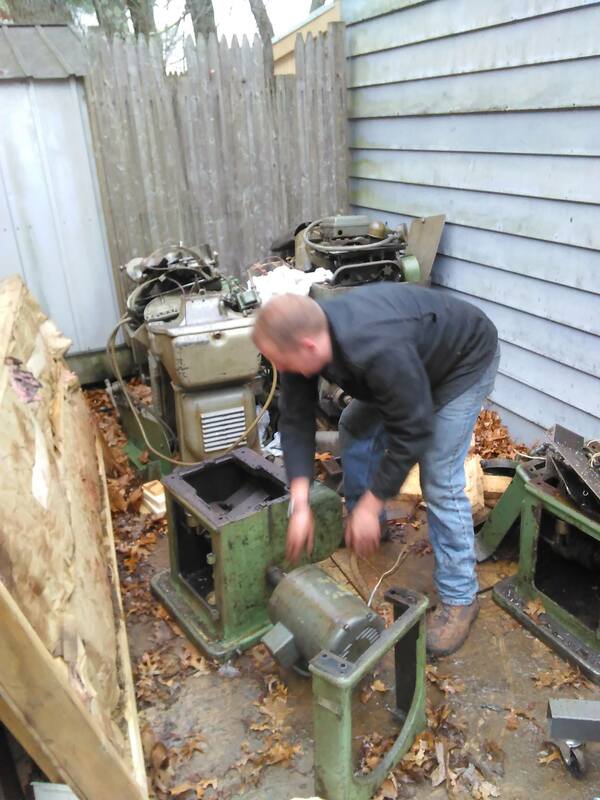 One of my closest friends hobbies is to collect and refurbish old machinery. 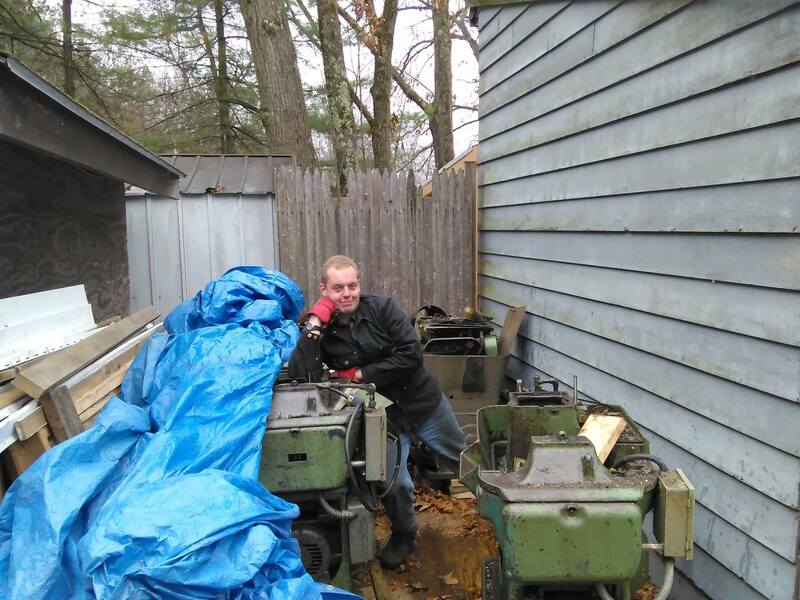 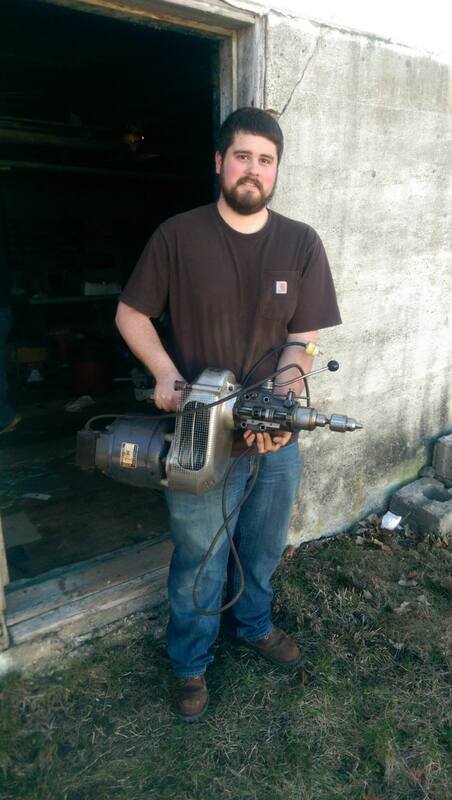 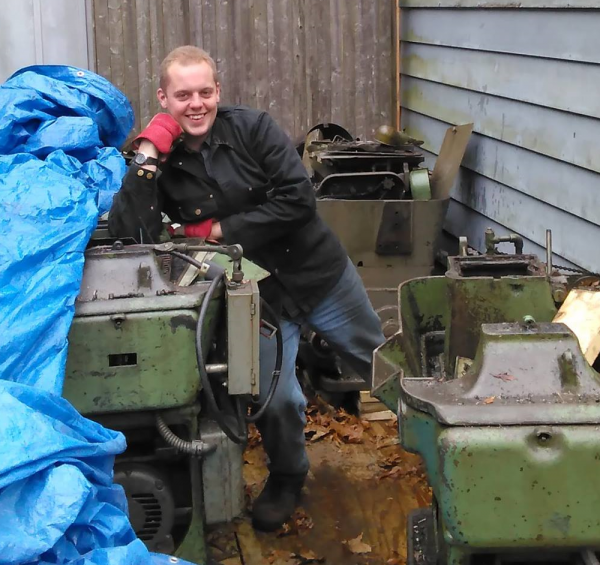 As of 2018, he owns a total of 41 machines that range from a small drill press and watch making mill to a 5200 lbs Reed-Prentice Lathe [Soon to be a Fellows No. 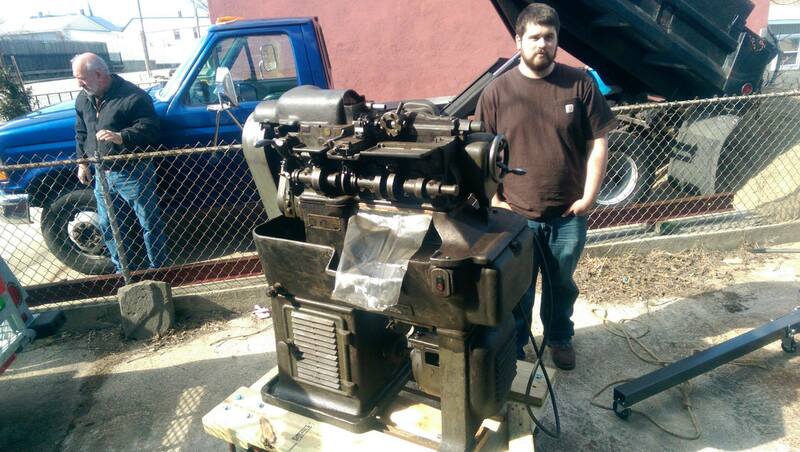 6 Gear Shaper, 6800 lbs]. 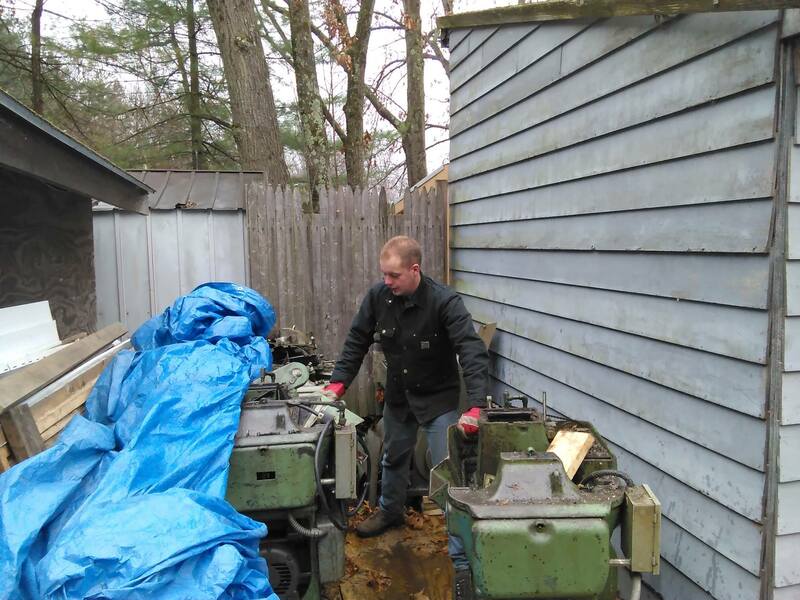 Through the years while we have both lived in Boston, MA I have assisted in both moving, disassembling, and refurbishing various components and machines that he has collected. 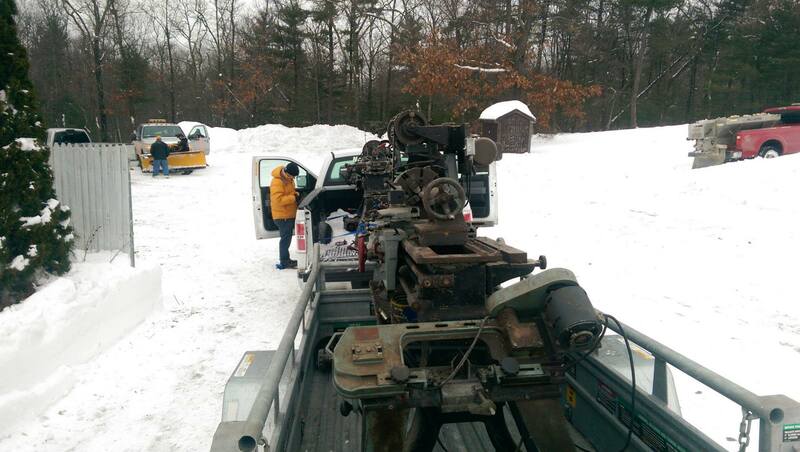 We have moved machinery in the middle of the summer, the week after a snow storm near the white mountains, and in the dead of the coldest days of winter. 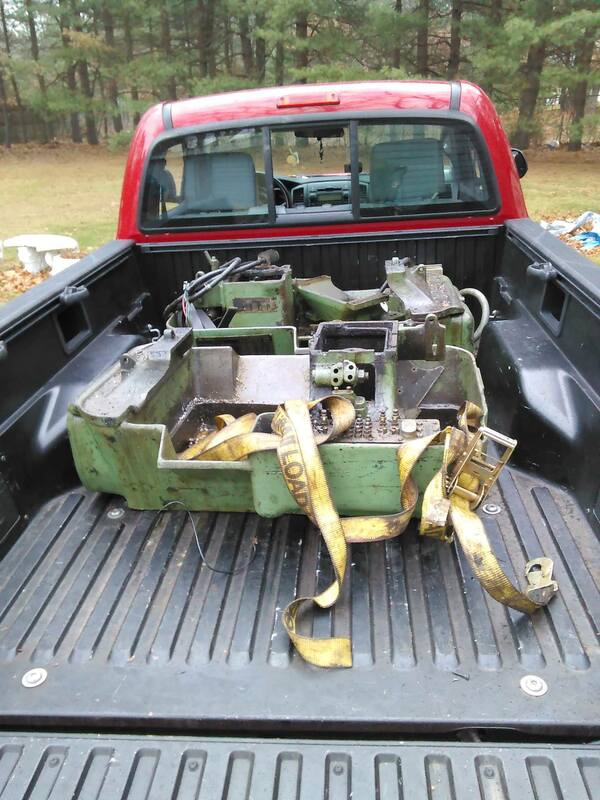 The one constant is that we always seem to find insane deals on older machinery through various contacts and craigslist posts. 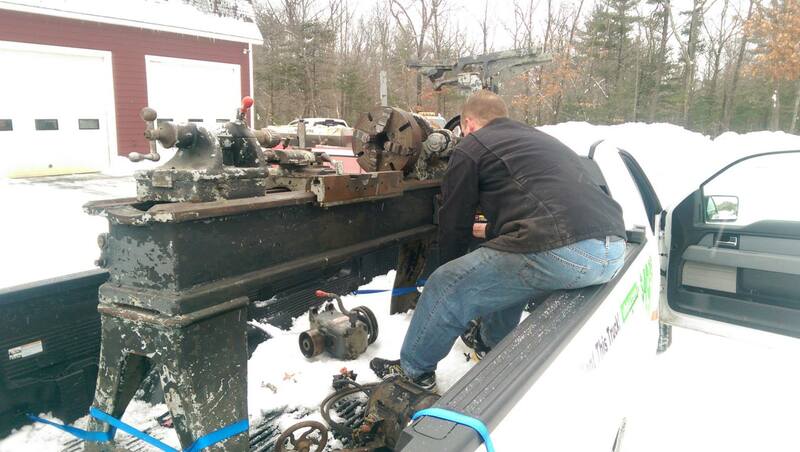 This is a small collection of the pictures I managed to take of a few machinery moves. 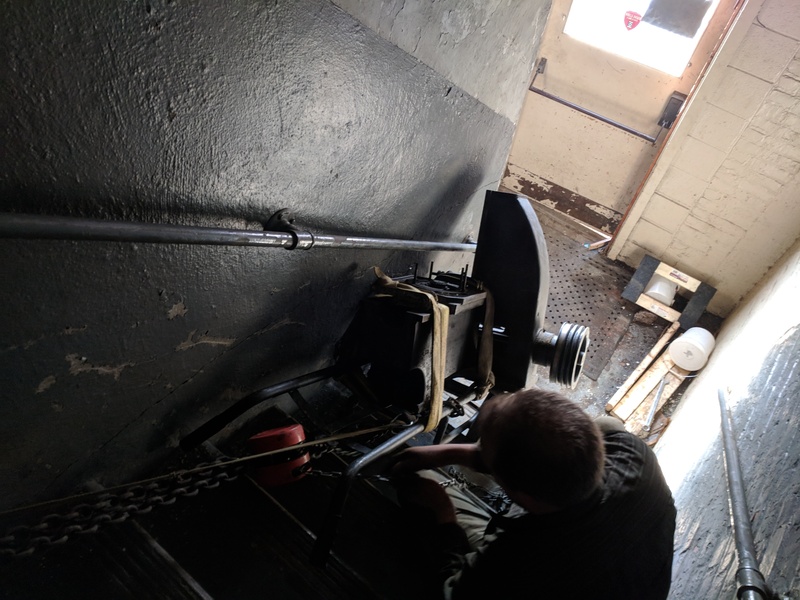 Most of the time we are too focused on not (A) dropping the machine and cracking the cast iron, (B) hurting ourselves, or (C) too tired and greasy to pull out our phones to take pictures, so the pictures I do have are limited in scope and quantity. 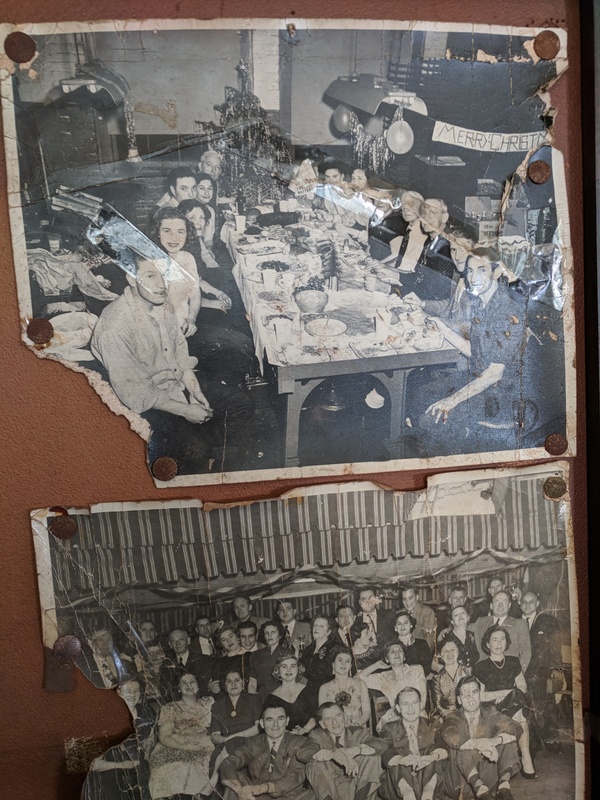 But I hope you enjoy them as much as we enjoy looking back bewildered at what we have moved and the quantity of stuff we have moved. 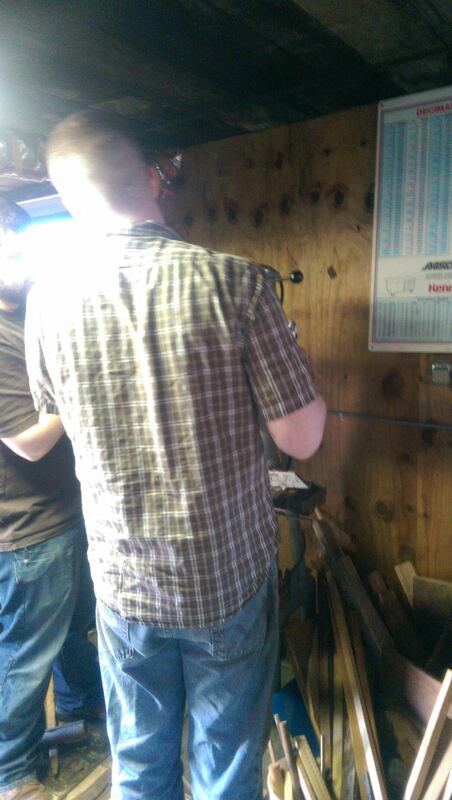 At this point, I think both Rob and I would be considered experienced riggers... And highly qualified hobbyist riggers. 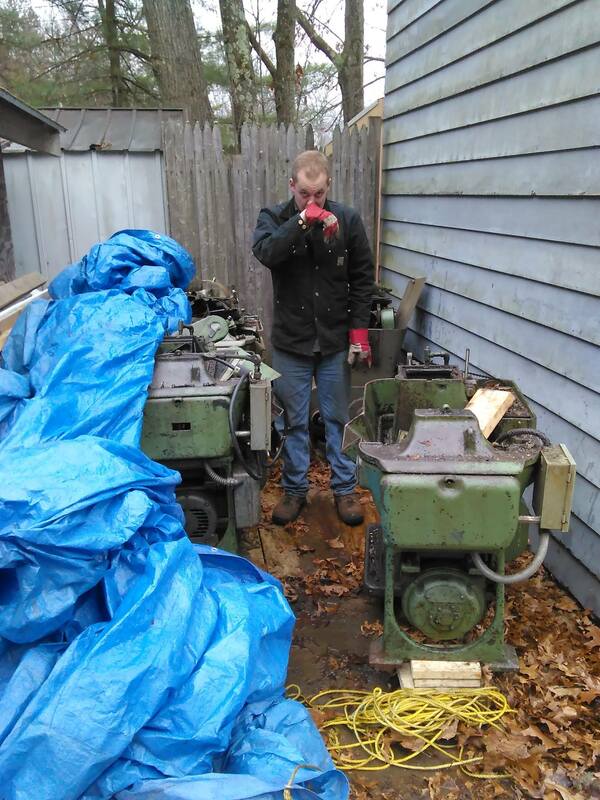 The day all these machines are humming along will be a glorious day indeed. 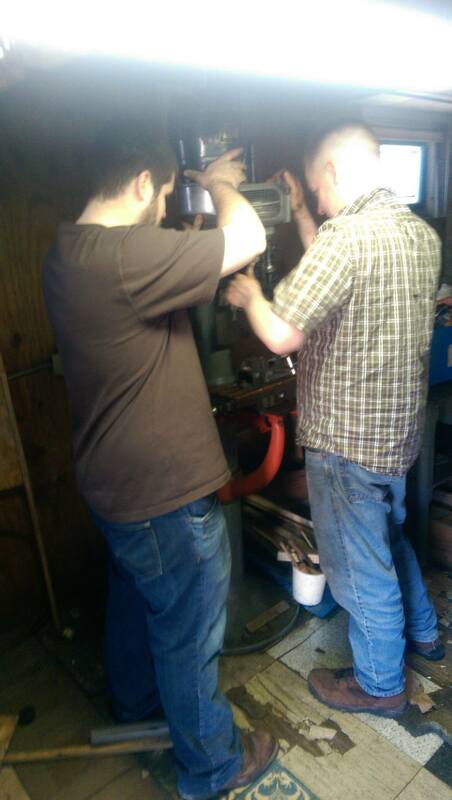 But for now it is a fun hobby; Currently, both Rob and I are are focused on our science and engineering jobs. 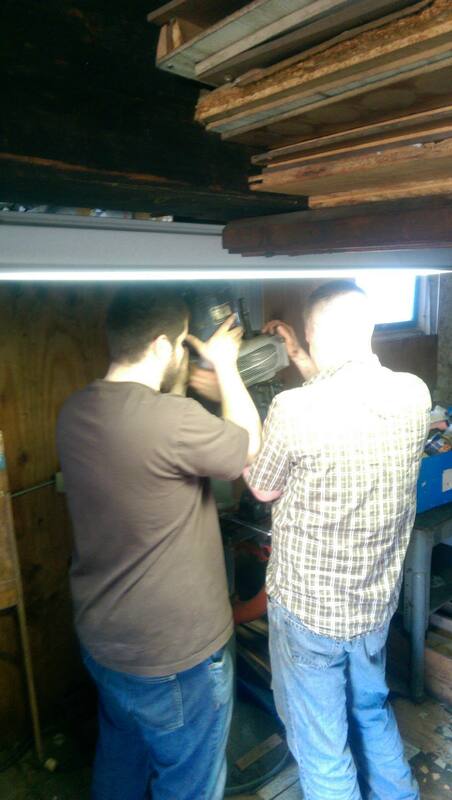 One of the more ambitious moves was moving a Barber Colman No. 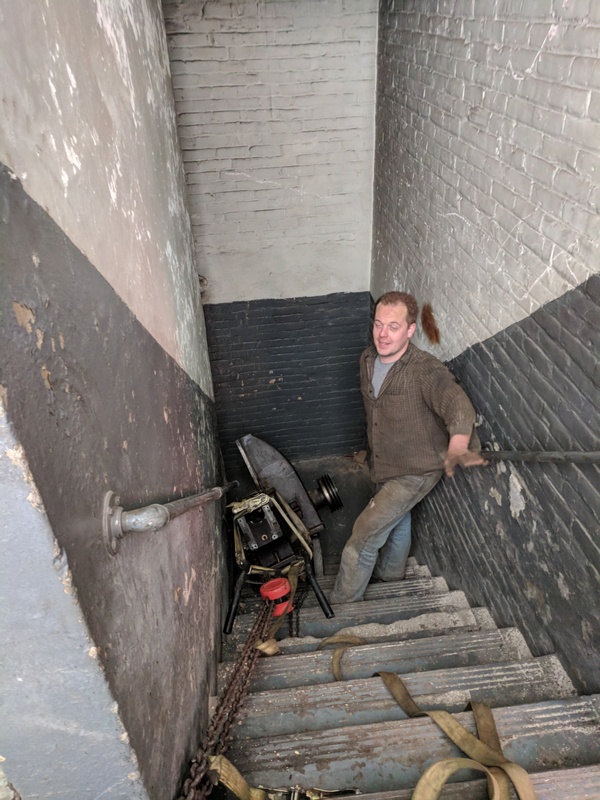 3 (1950lbs) from the 3rd story of an old brick building in Newark, New Jersey. 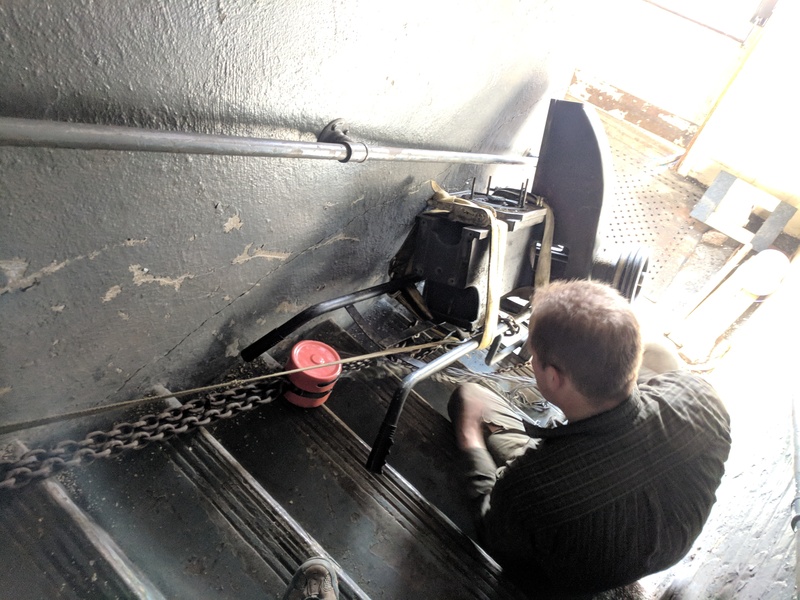 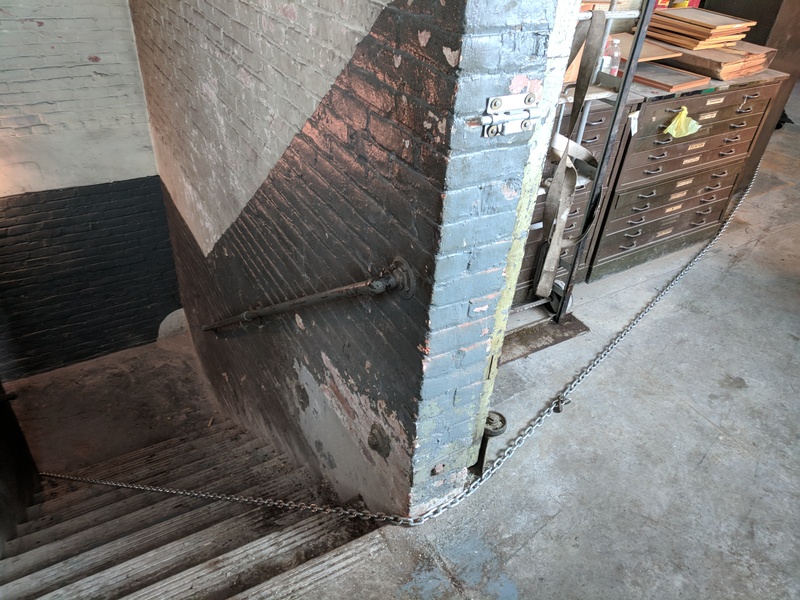 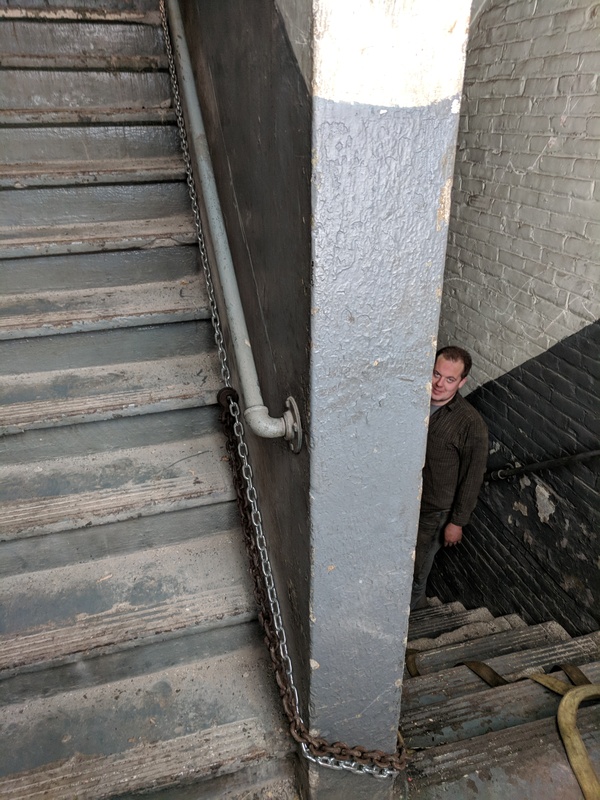 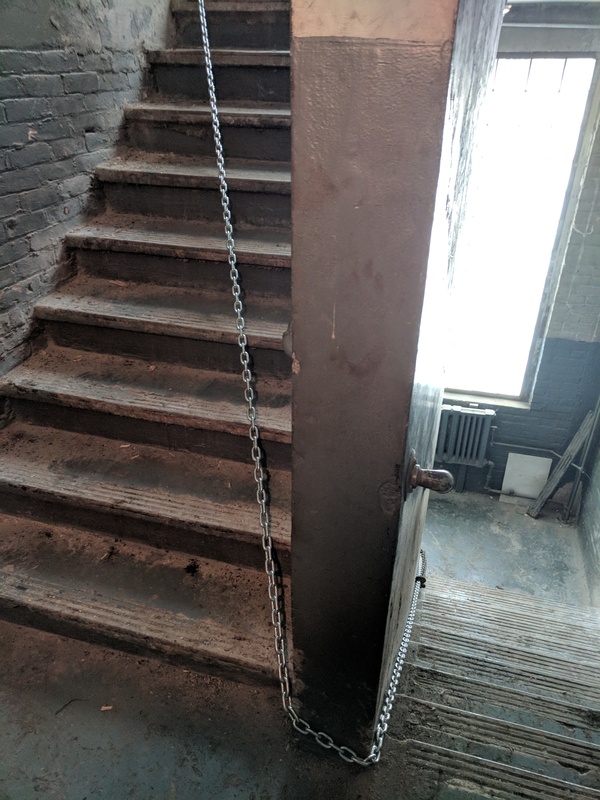 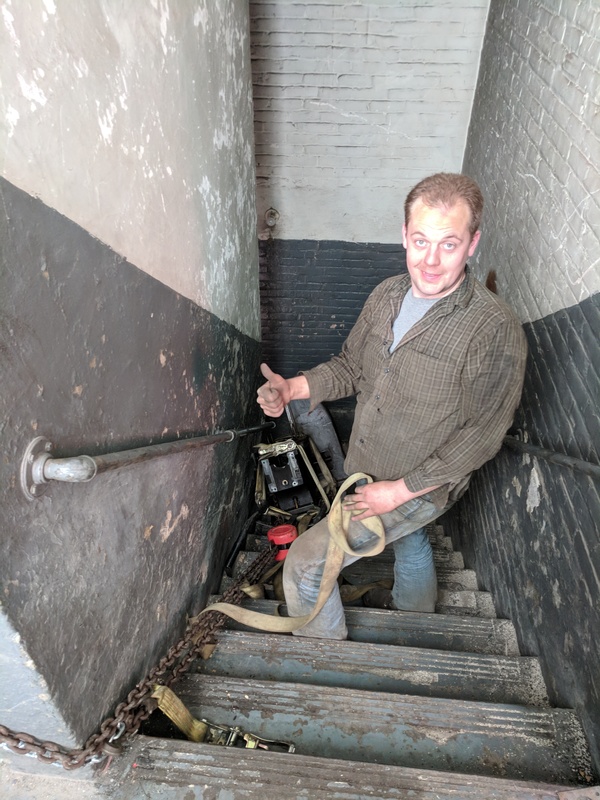 The major problem was that we arrived early in the morning on saturday not realizing that this building was so old that it didn't have a freight elevator. 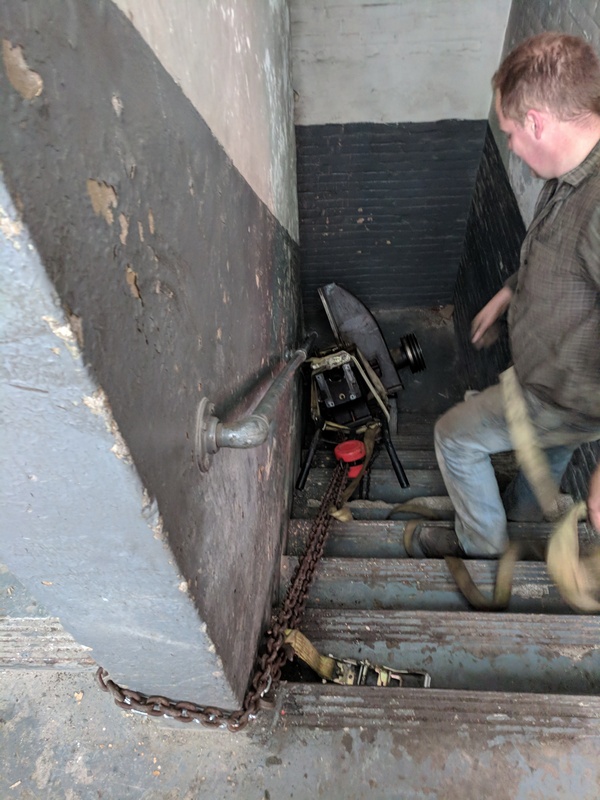 Not only that, but all their heavy machinery was on the 2nd and 3rd floors. 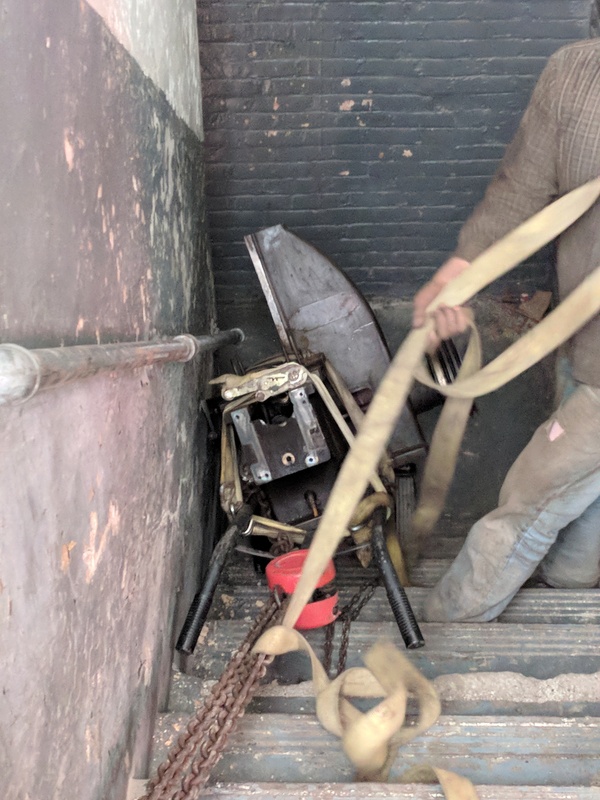 Apparently the company had taken out part of their wall to crane the machines into the building. 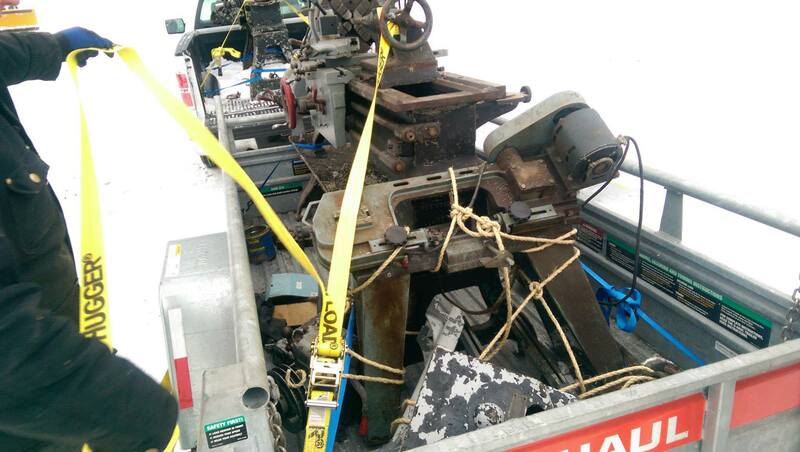 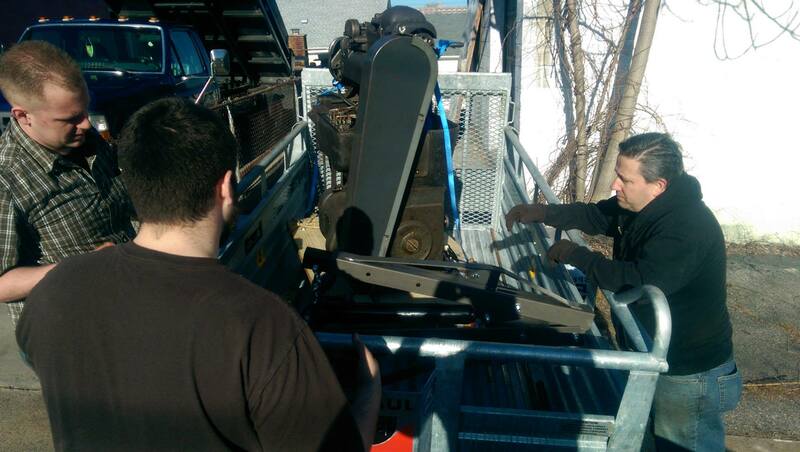 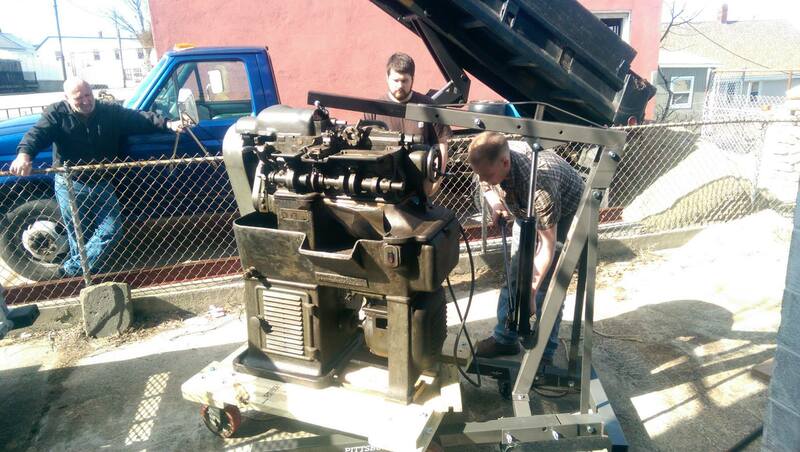 So over the course of 1.5 days we disassembled the machine and brought it down the flight of stairs in segments. 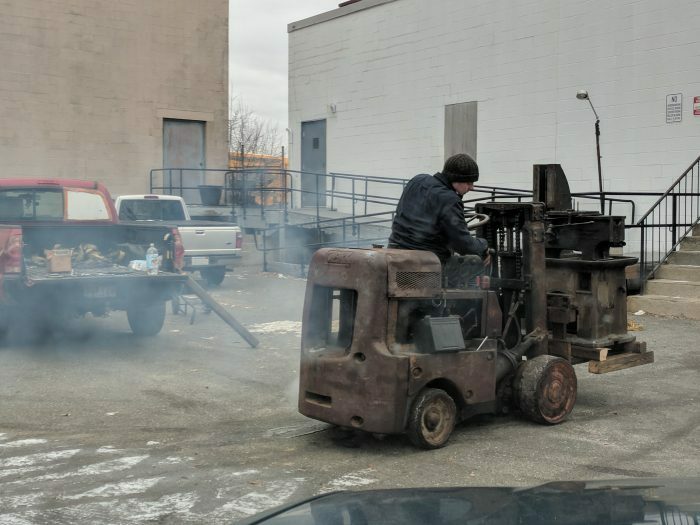 No one in their right mind would try this, and I have no idea how the next owner is going to deal with the larger machines. 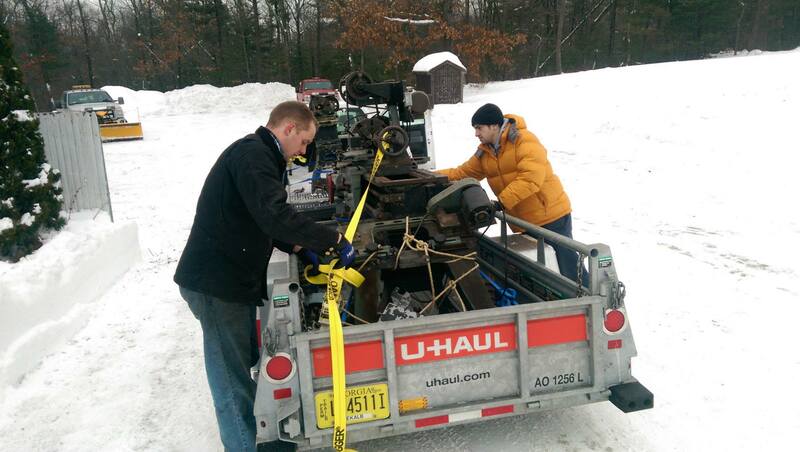 This move was in the middle of winter and located up in the white mountains of New Hampshire (If I recall correctly, just on the north side of the white mountains). 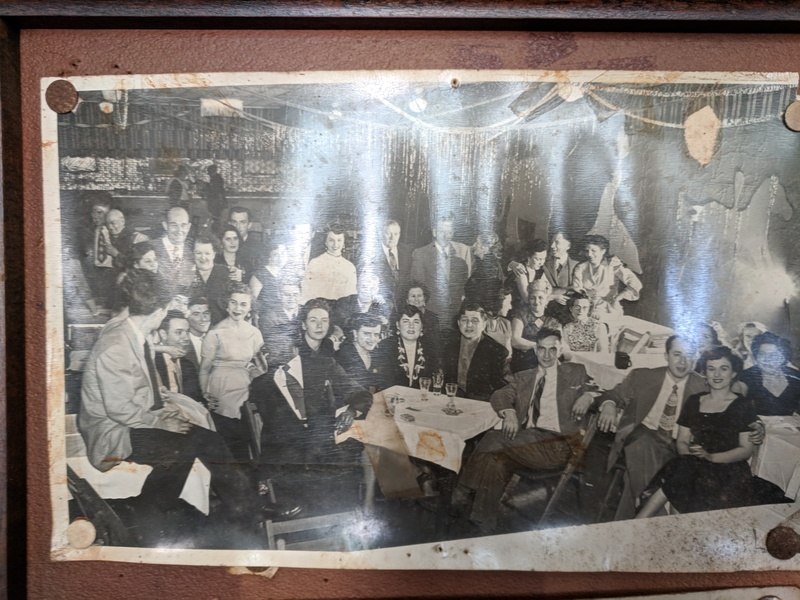 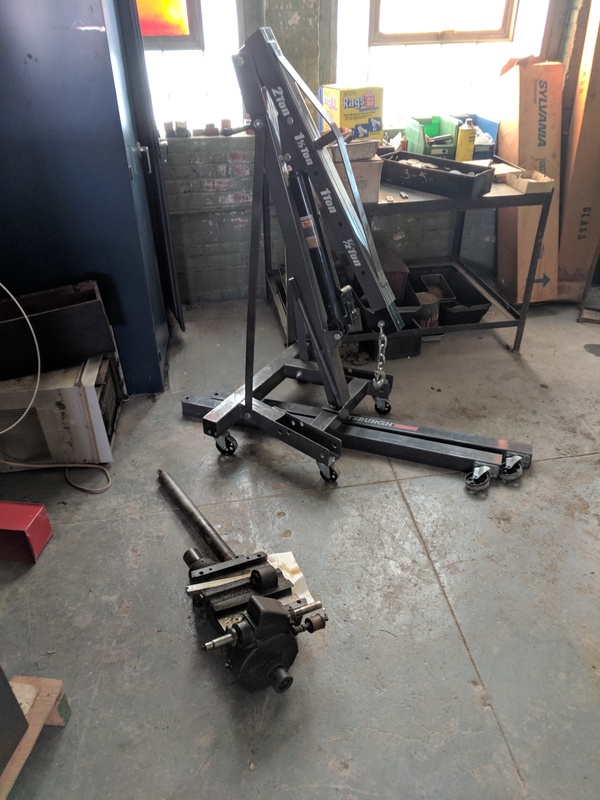 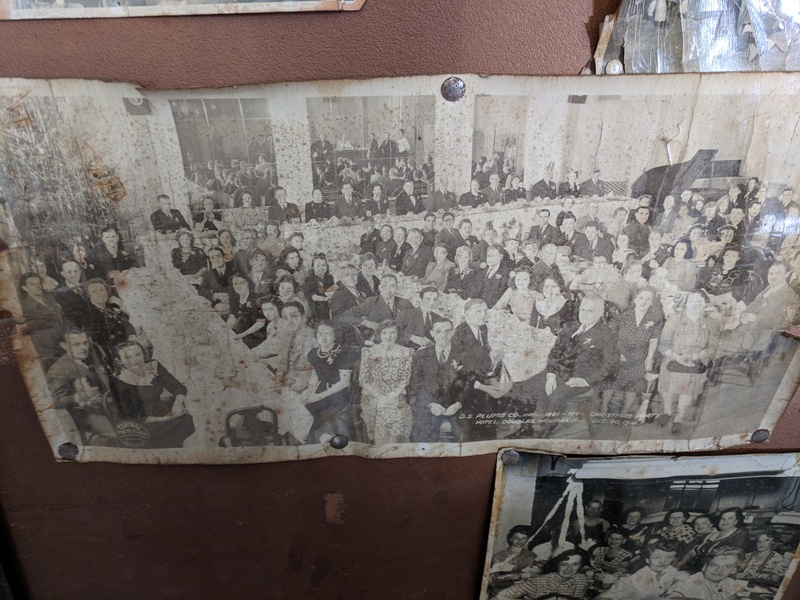 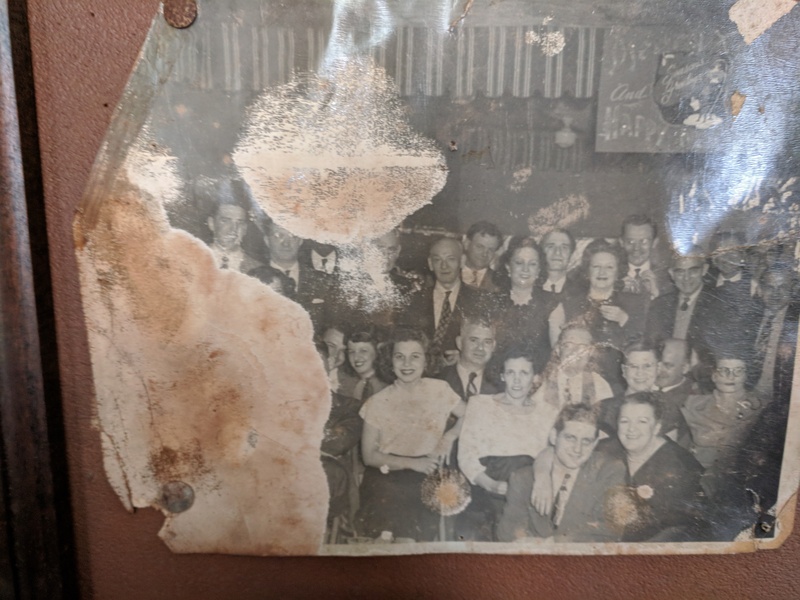 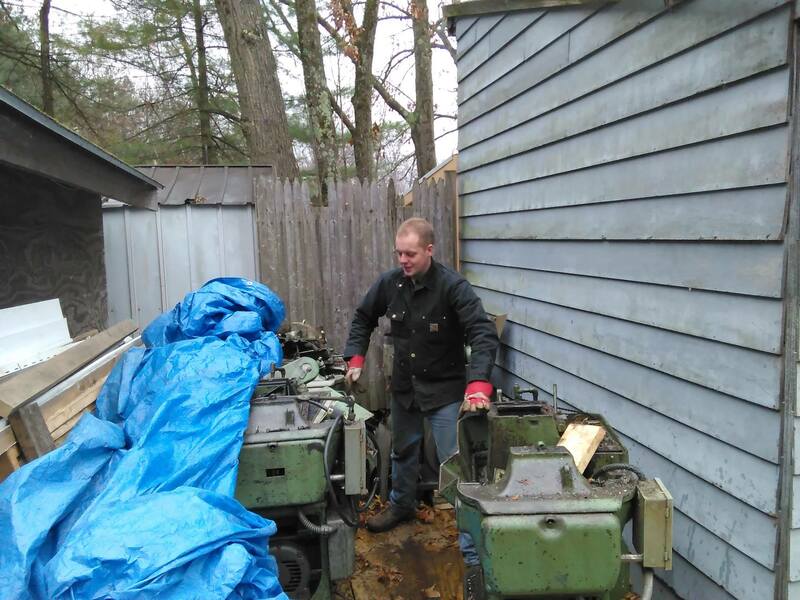 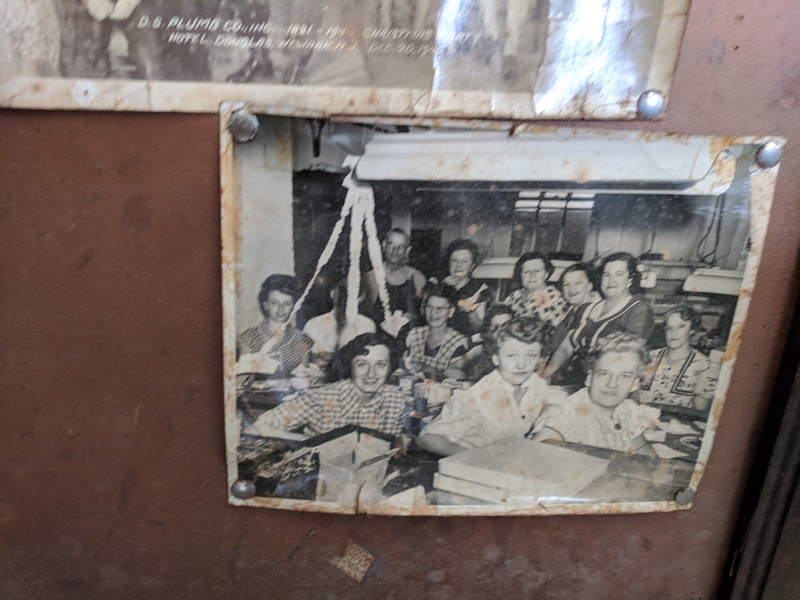 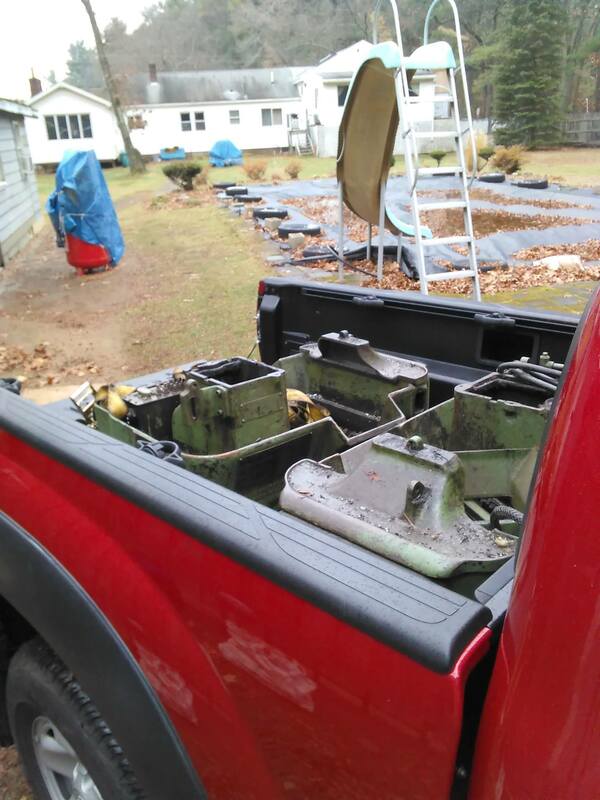 The story goes that the owner was trying to clean out his deceased fathers machine shop out of the garage and was trying to get rid of the machines. 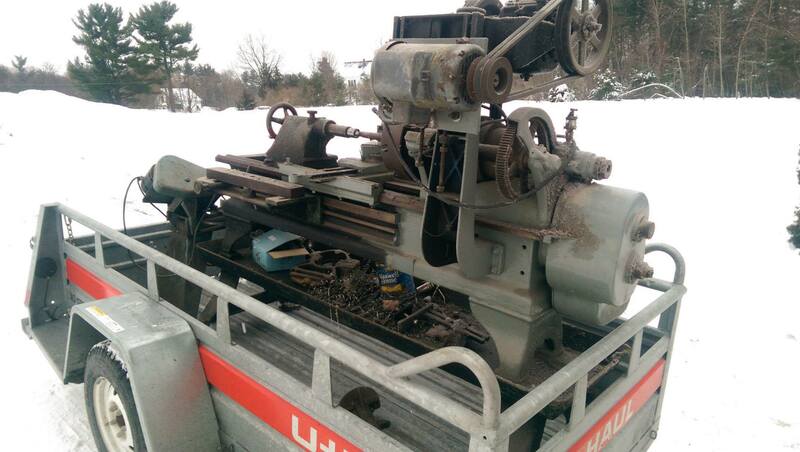 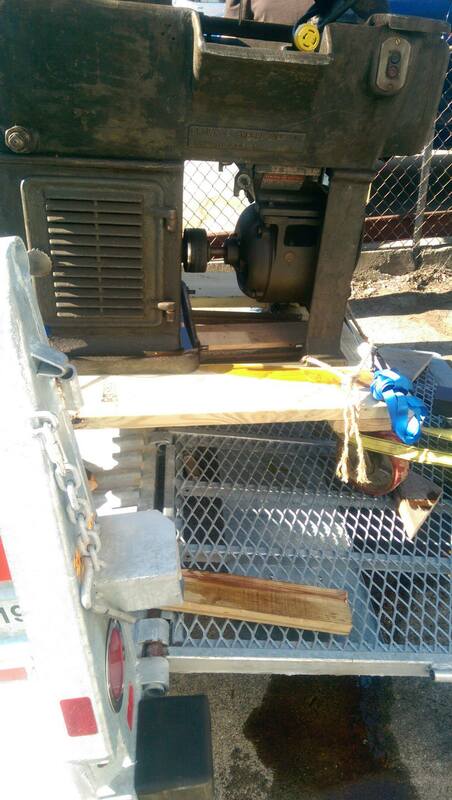 So while negotiating the price, the guy threw in the second lathe for free. 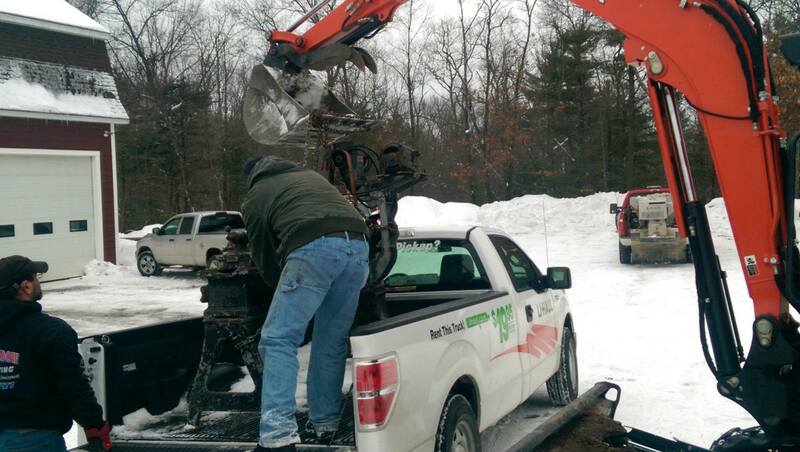 The only problem was the timing, it had recently snowed and were a bit worried about loading the machines on an uneven ground... lucky for us they had everything covered on their end and loaded up the machines in a 1/2 hour. 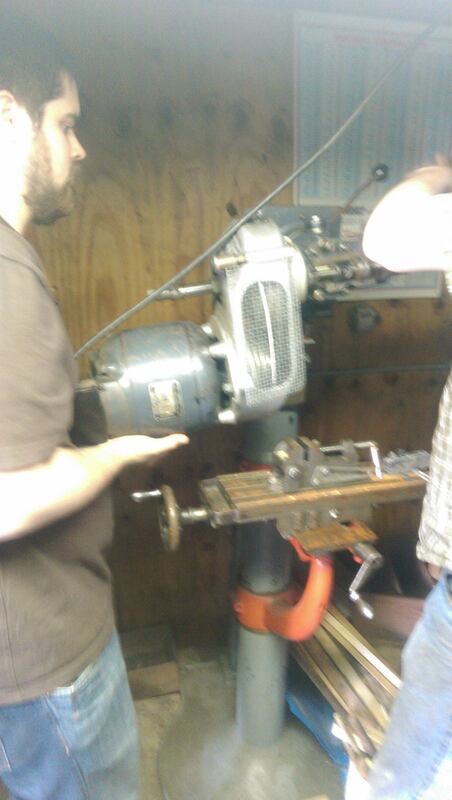 This was the first screw machine Rob had come across that was in good condition and cheap. 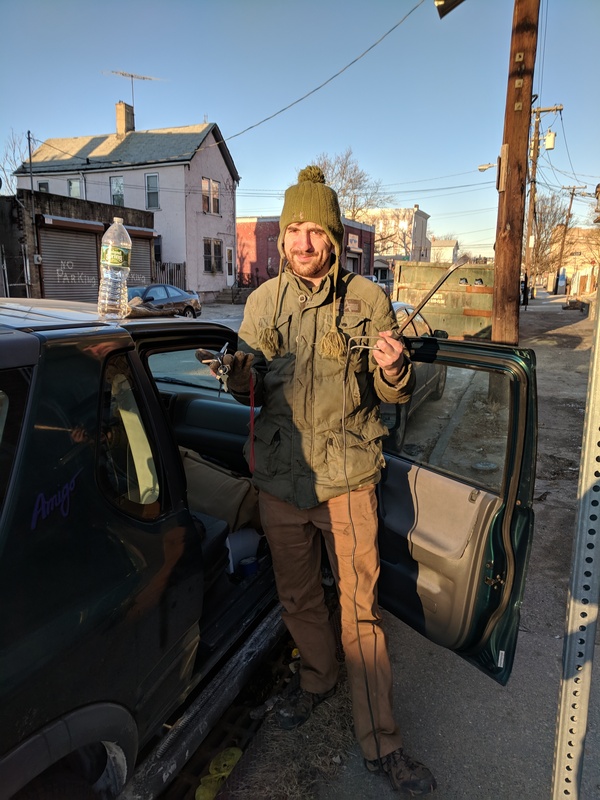 It came from a small yoyo company Larry Sayco YoYo Company This was probably the luckiest we have ever been in the middle of a move. 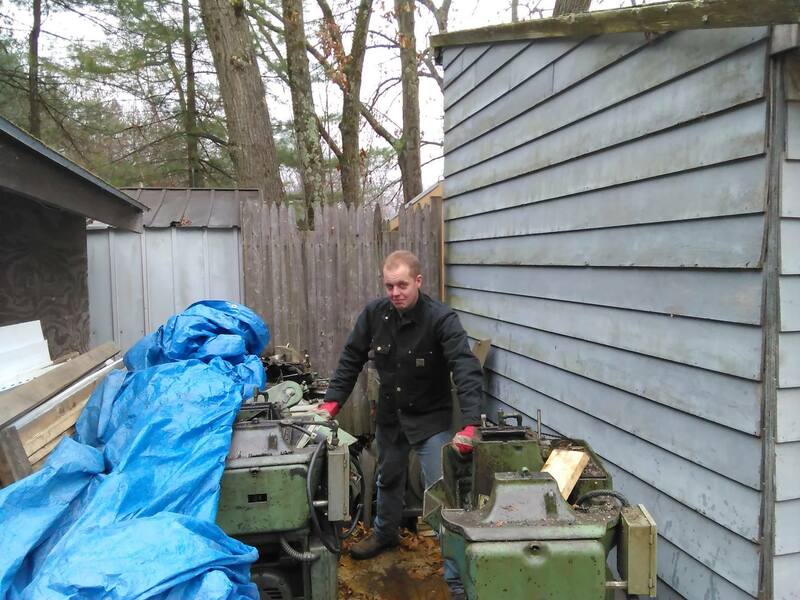 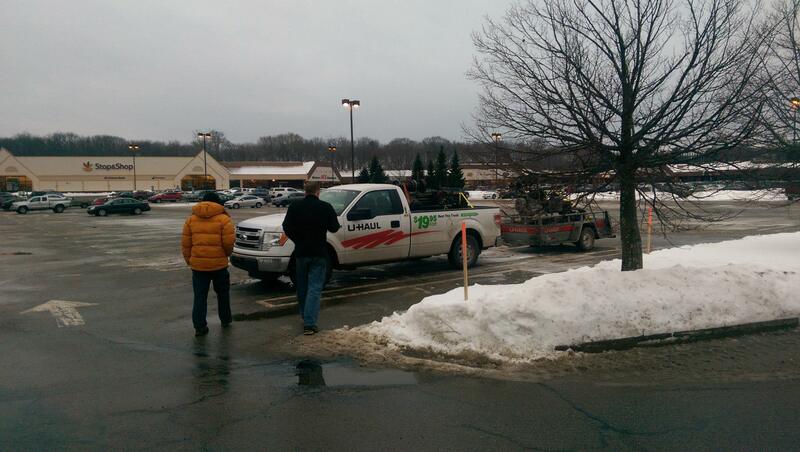 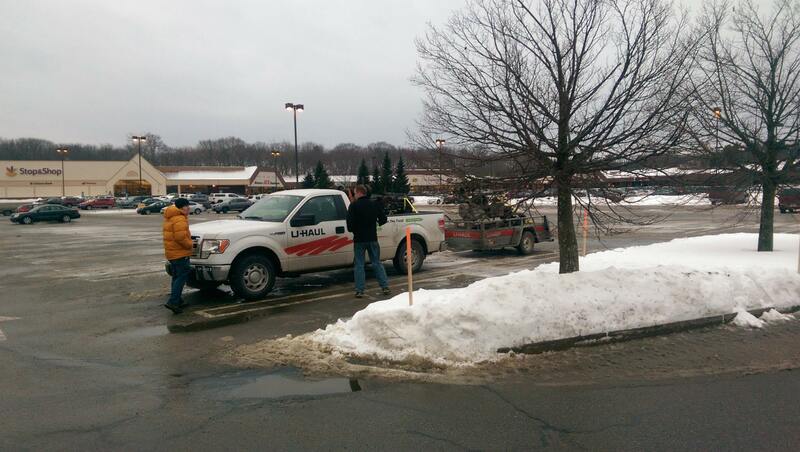 This was down in Connecticut, and getting the machine from the shop into the trailer (10 feet away) took around 2 hours. 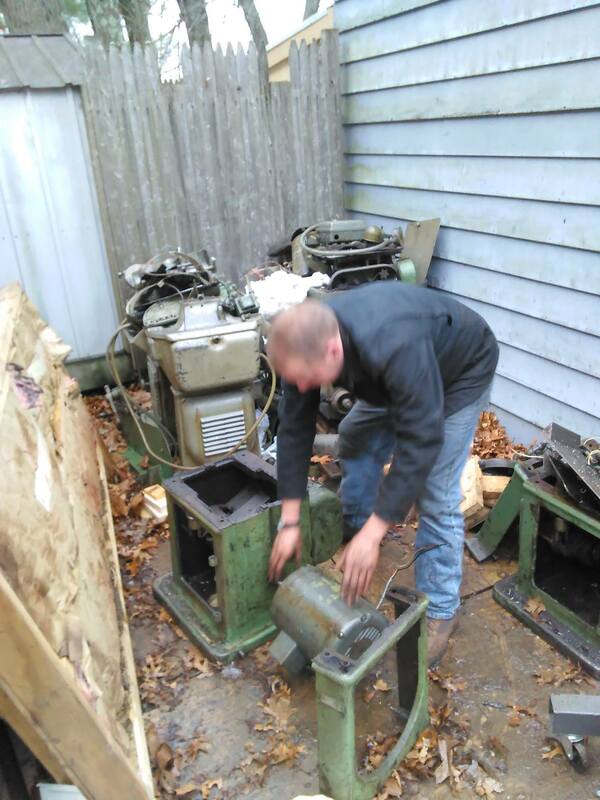 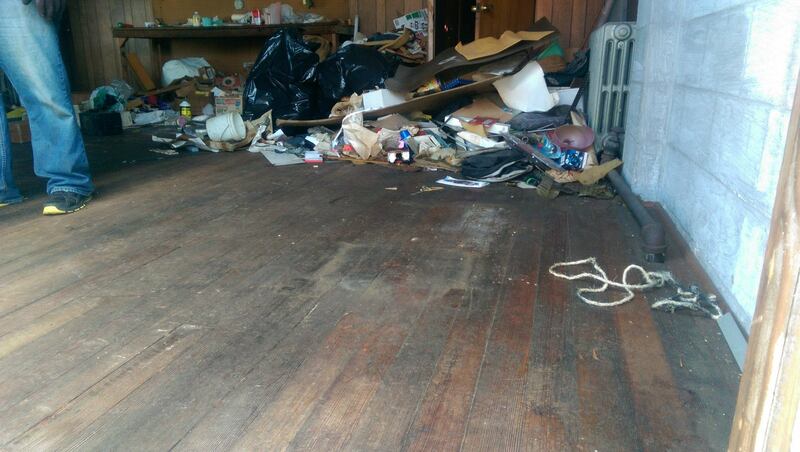 So first, the machine had been sitting on the wooden floor for decades making yoyo parts and had warped the flooring. 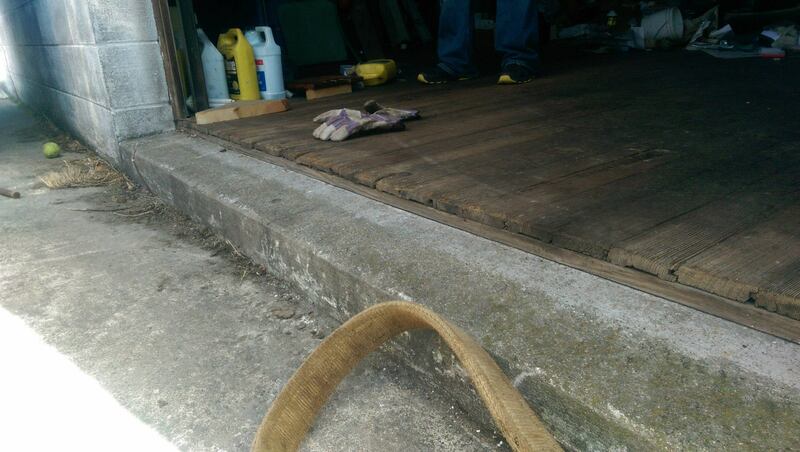 Second the flooring out the door onto the concrete had 3 lips. 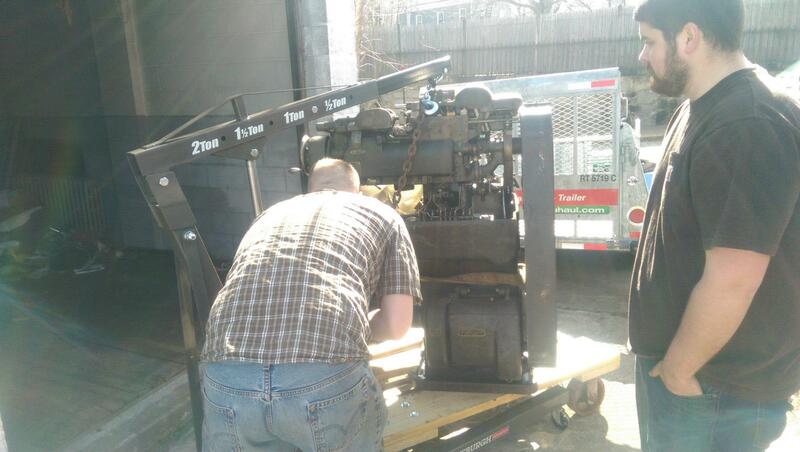 This required some multi-stage rigging where we had to pickup the machine, put it down, readjust, pick it up, and put it back down (rinse repeat). 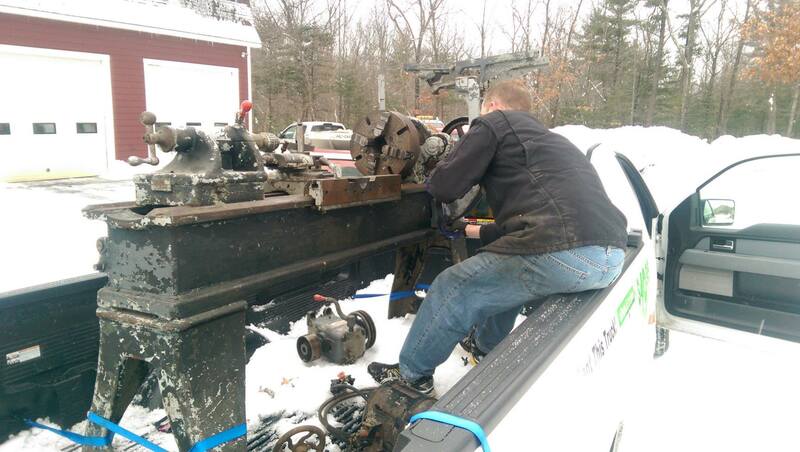 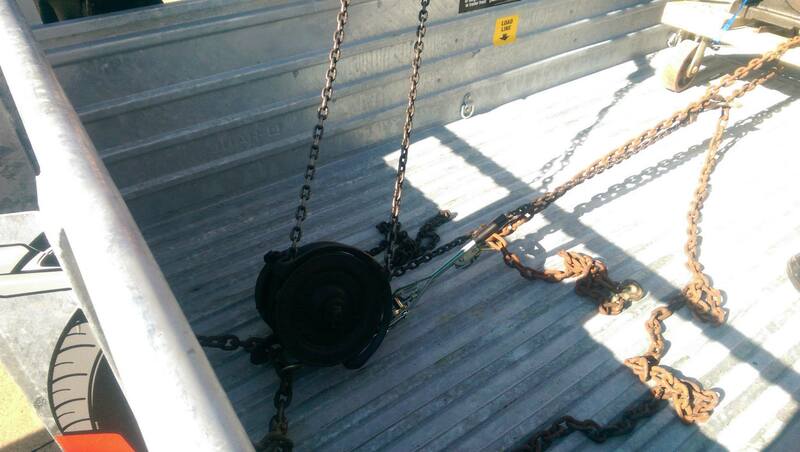 The luck comes in, that when we went to load the machine we realized we did not bring our chain fall and rigging to pull the machine into the bed of the trailer. 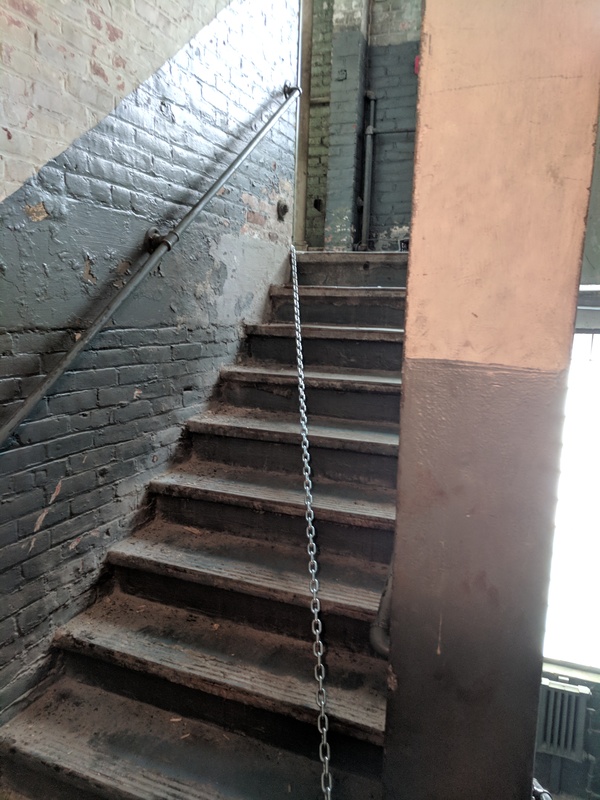 So we were able to borrow a chain fall from a passing stranger. 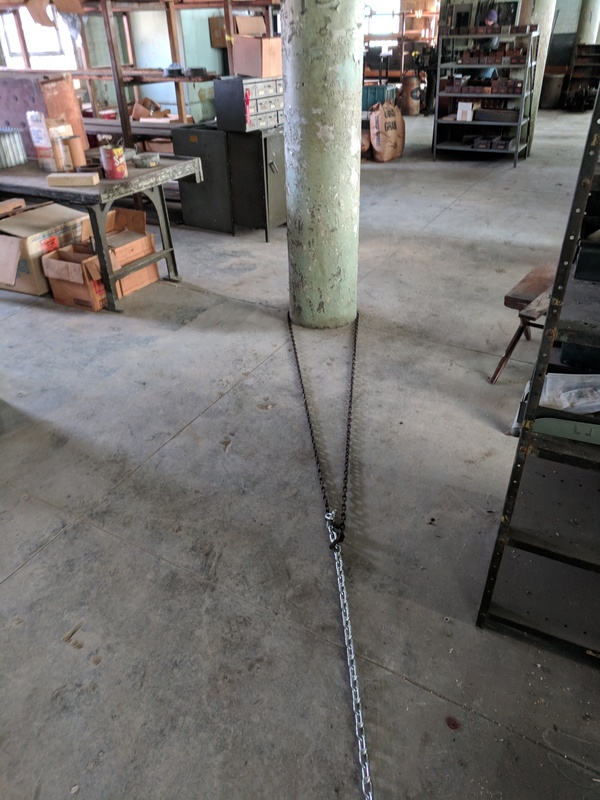 I cannot make this up, a passing stranger had a 3 ton chain fall in his garage a block away. 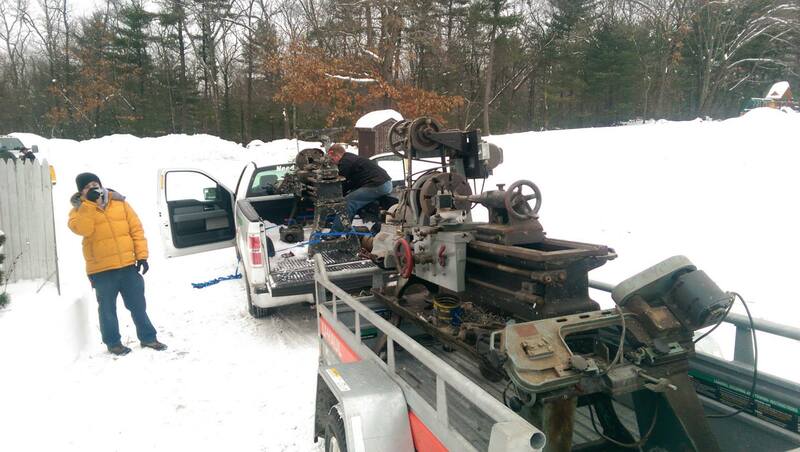 If there is one thing that is not fun, it is moving cast-iron in the dead of winter. 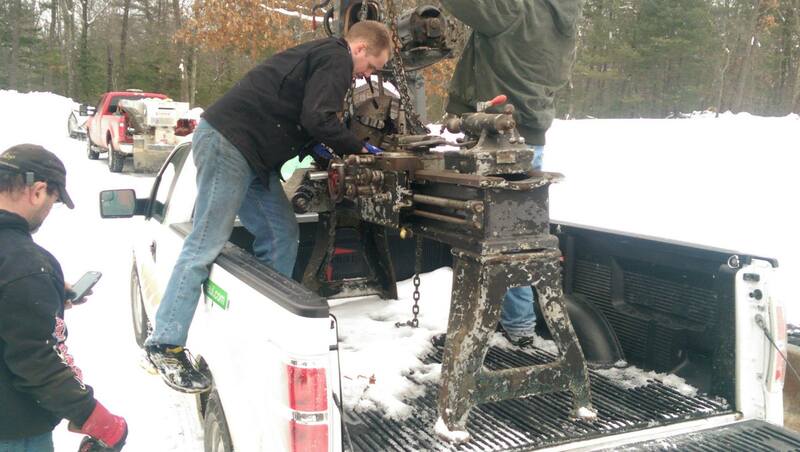 Cast Iron pulls the heat out of your hands and anything it touches. 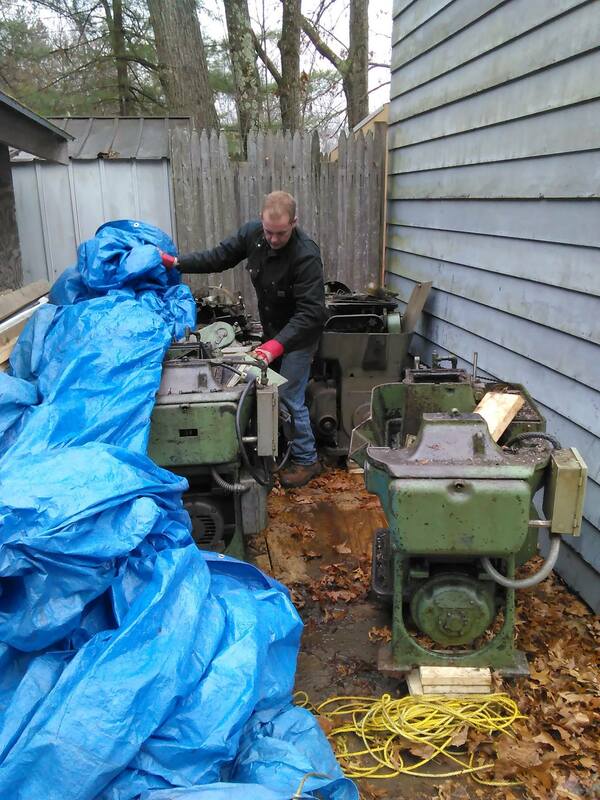 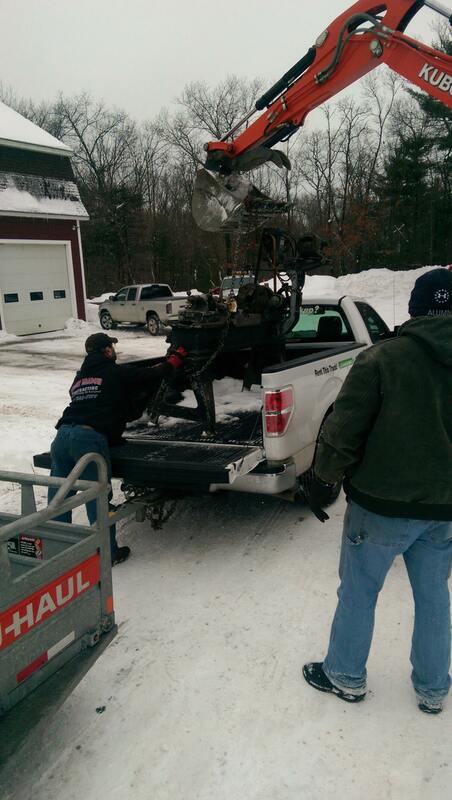 So why you might ask did we move 4 separate screw machines in the dead of winter... because the price and quality was too hard to pass up! 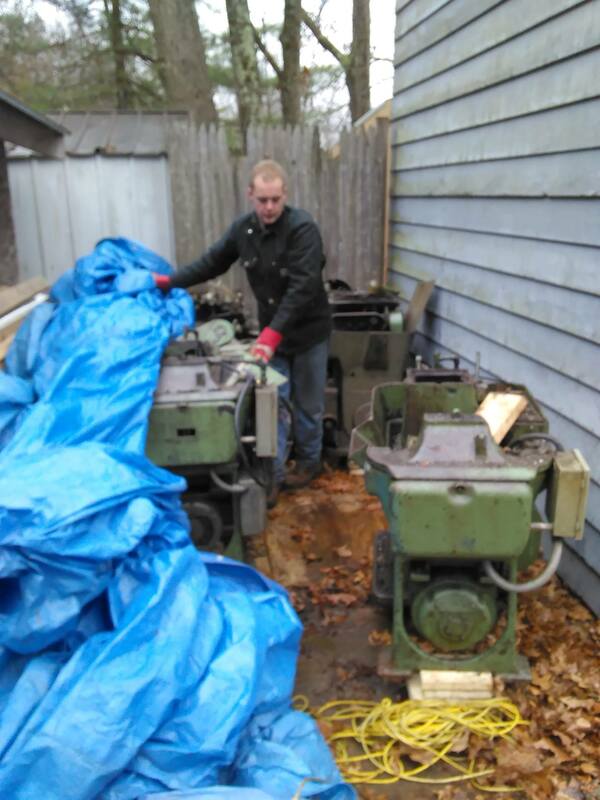 So we ended up over the course of 3 weekends disassembling the machines and moving the bases and tops in multiple trips. 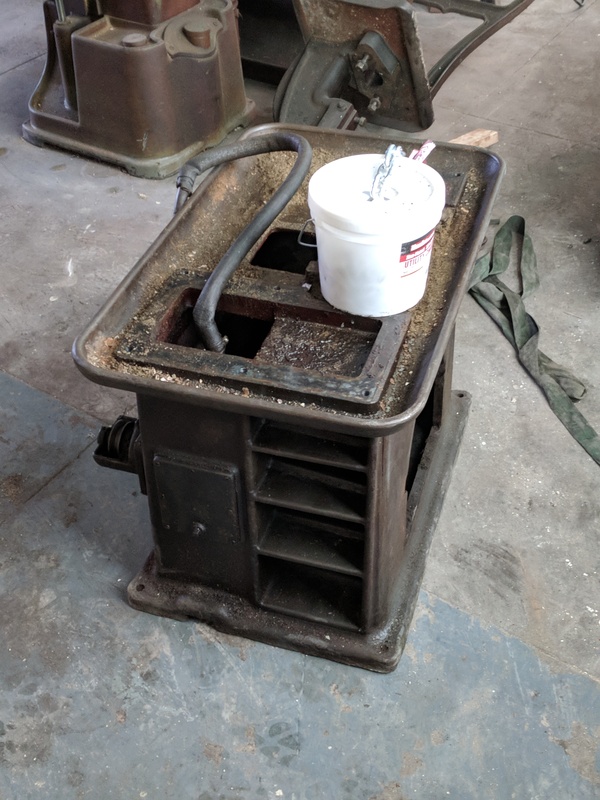 But man did I feel like I was going to get frostbite. 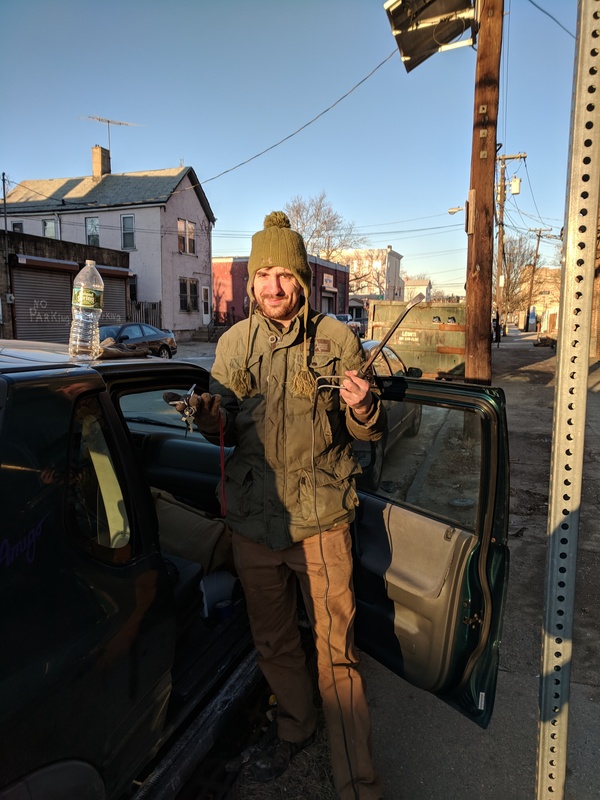 There were a few times that I had to turn the truck on and warm up my feet. 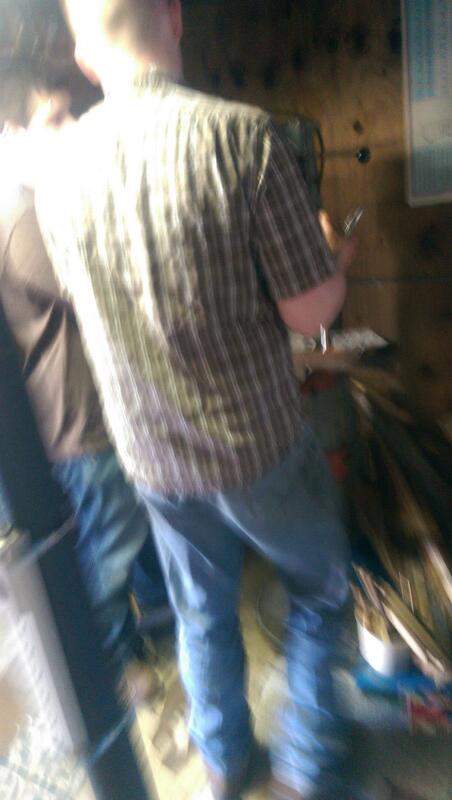 (I forgot to wear wool socks). 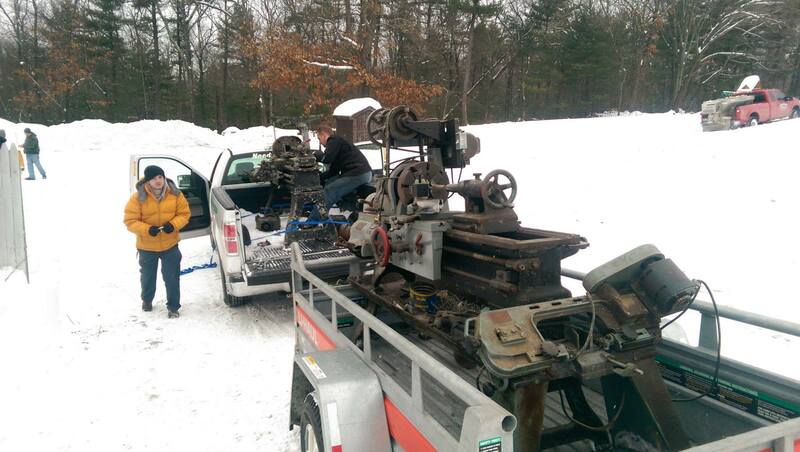 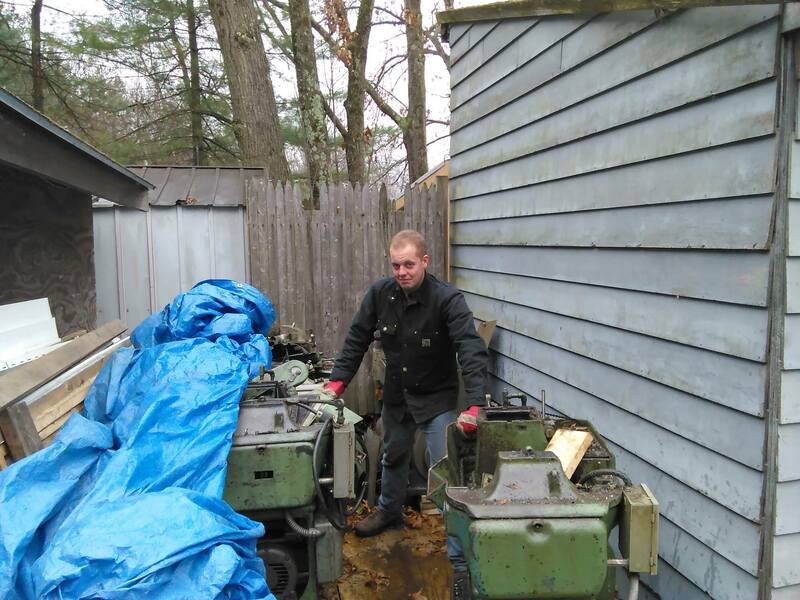 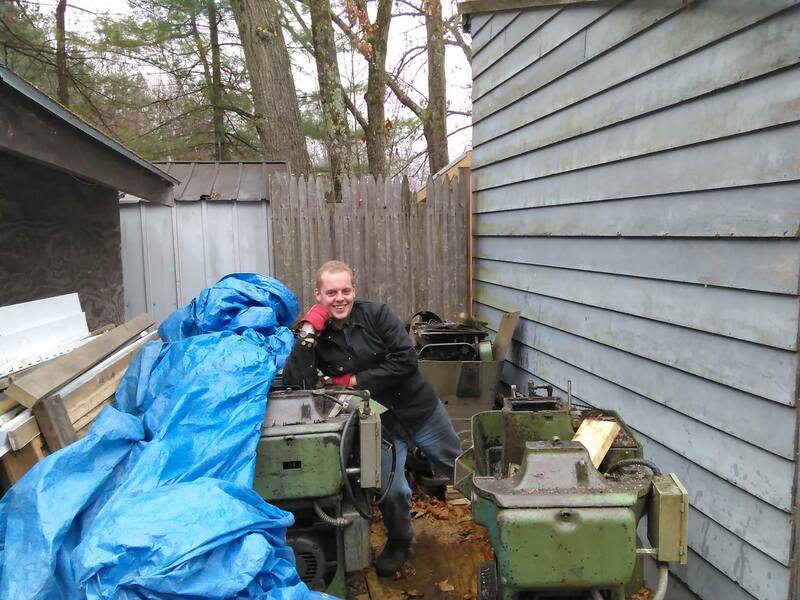 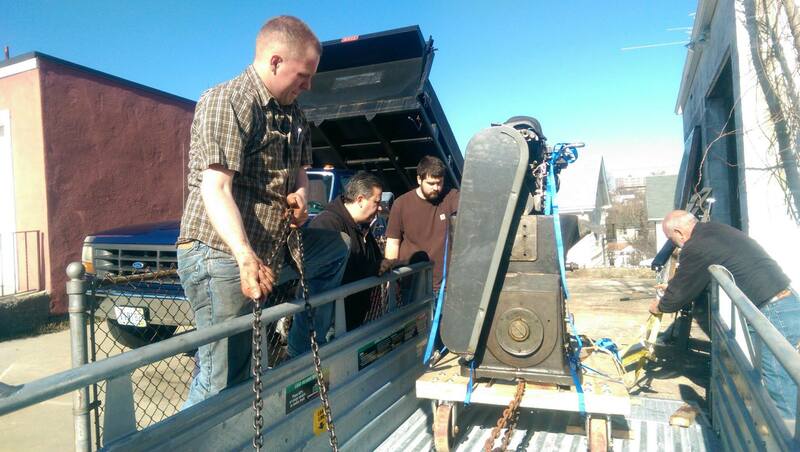 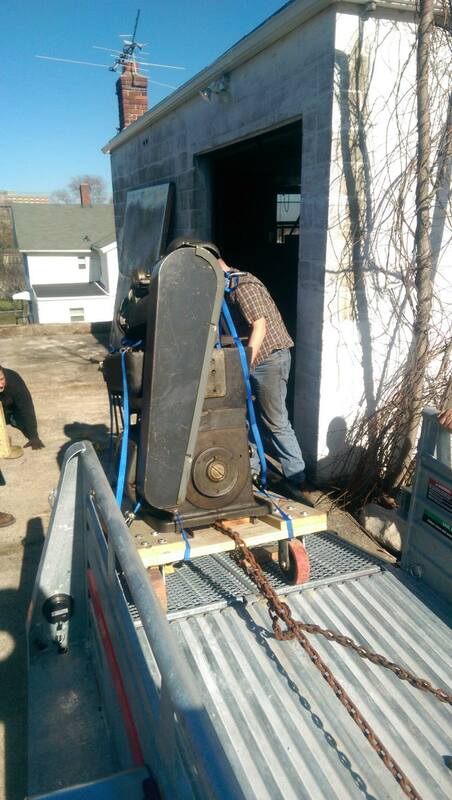 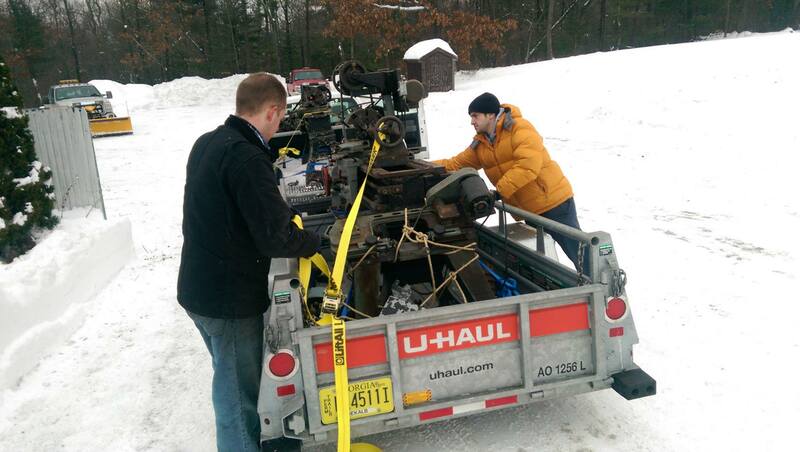 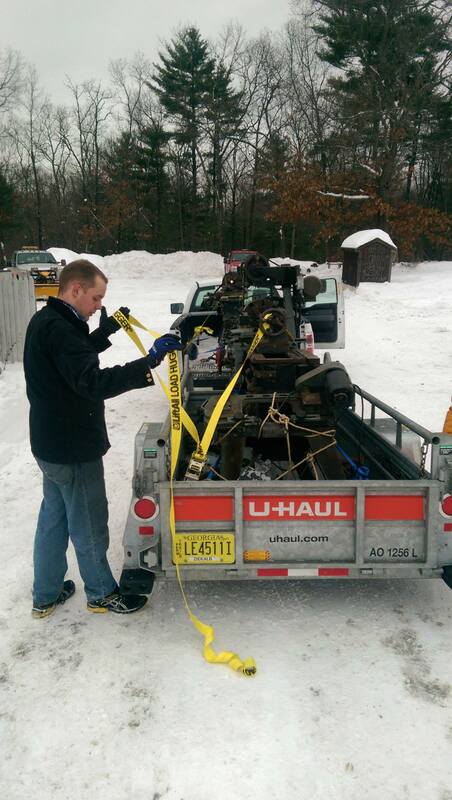 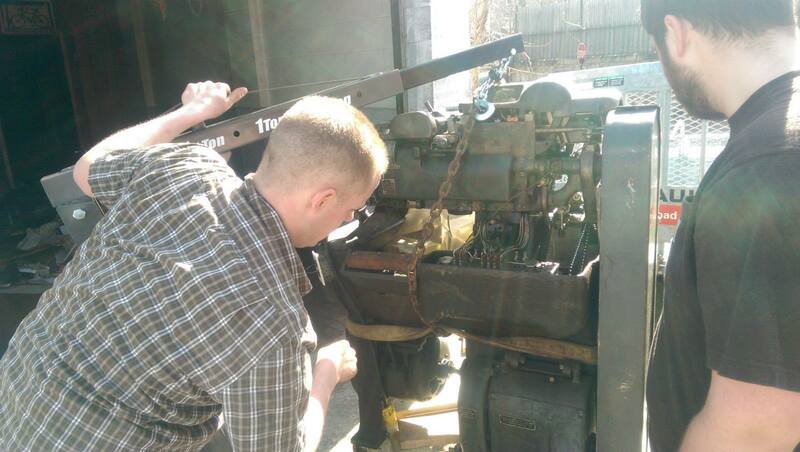 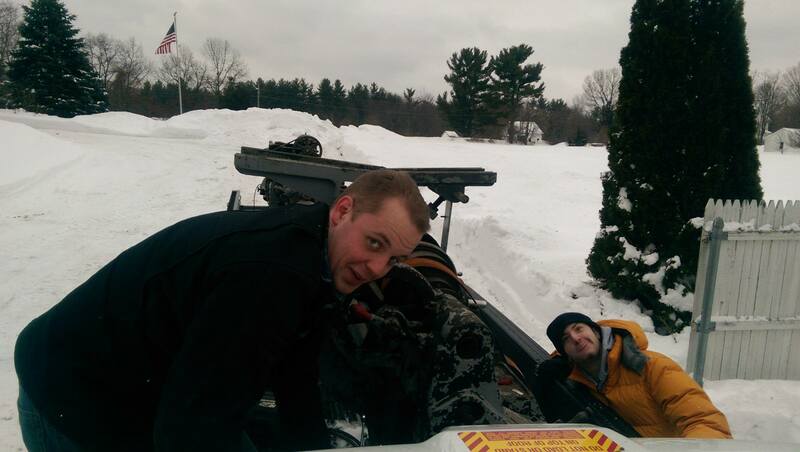 After years of searching, Rob was able to find not just 1 but multiple Fellows Machines. 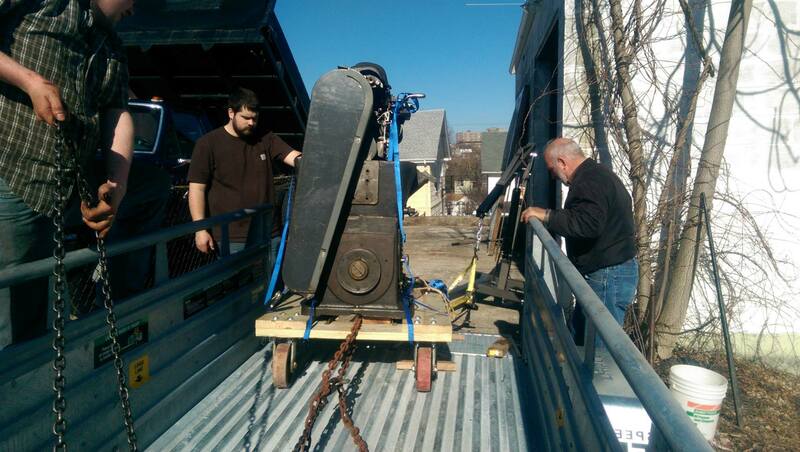 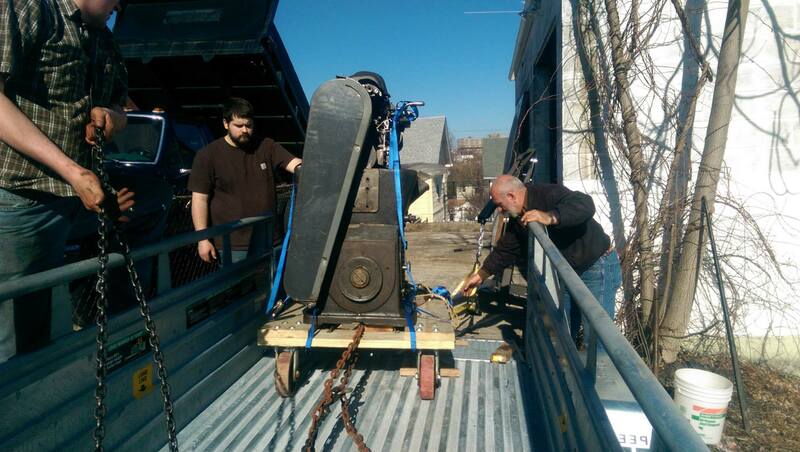 So we are currently disassembling them and moving them to Boston from Springfield... 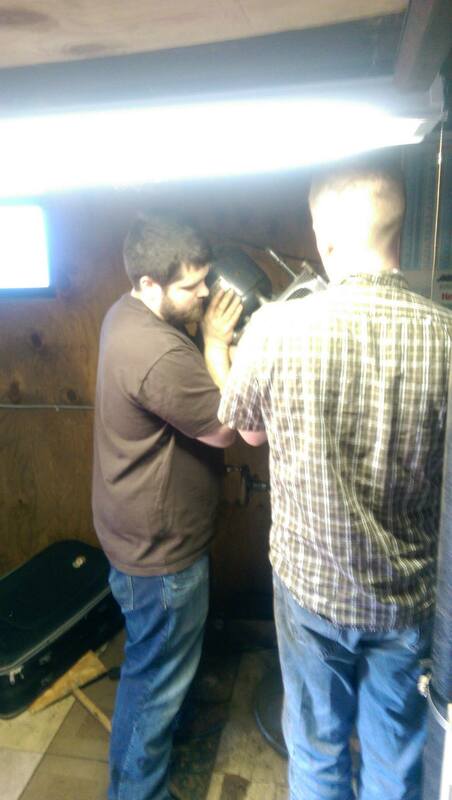 The rigging isn't too bad, but the drive takes FOREVER!